This is God's calendar, not the Gregorian fake that is used by the west! AMERICA IN REVELATION IS IT THERE? MAYBE, BUT PROBABLY NOT AS A SUPER POWER! HERE'S WHY... UNLESS THE AMERICAN GOVERNMENT REPENTS, JONATHAN CAHN TELLS US WHAT WILL HAPPEN IN THE FOLLOWING VIDEOS. THERE'S A LOT OF HYPE SURROUNDING THIS YEARS 4 BLOOD MOONS, WHILE IT SAYS IN JOEL 2:31 IT SAYS, “The sun shall be turned into darkness, and the moon into blood, before the great and the terrible day of the LORD come.” I BELIEVE WHEN GOD DOES THIS IT IS NOT GOING TO BE ABLE TO BE PREDICTED! I guarantee you that when God turns the moon to blood red it won't look like it's an embarrassed moon like in the pictures we see. It will look dark red and bloody like you've never seen it before! THAT BEING SAID, WE MAY NEED TO INTERRUPT THESE FOUR BLOOD MOONS AS A SIGNIFICANT EVENT AND PART OF GOD'S SCHEDULING. HERE'S A NICE VIDEO THAT THEY TALK EXTENSIVELY ABOUT THE SHEMITAH, BY JONATHAN CAHN AND THE BLOOD MOONS BY ANOTHER PASTOR MARK BLITZ AND BILL SALUS. Now after posting three articles to the affect of some significance, I say the agreement between Obama and his team and Iran has only been verbally hashed out and that is the best description of it so far. There are publications that say when it finally gets put in writing, both sides will understand the misunderstandings in there rhetoric that has been discussed! Iran is already saying they don't think the IAEA (International Atomic Energy Agency) and Obama admin people understand what they're saying! So, no, there hasn't been any coincidental agreement in conjunction with the blood moons! If it’s a coincidence, it’s an astounding one. An ominous “Blood Moon” appearing at the same time the Obama administration is boasting of a nuclear agreement with Iran that Israeli Prime Minister Benjamin Netanyahu says endangers the very survival of the Jewish state. And experts warn that Barack Obama’s actions could herald disastrous consequences not just for Israel, but for the world. WND reported only this weekend that one Jewish rabbi in Israel is asking for special prayer because of the alignment of the Blood Moon, in the skies early Saturday. And he issued an ominous warning. 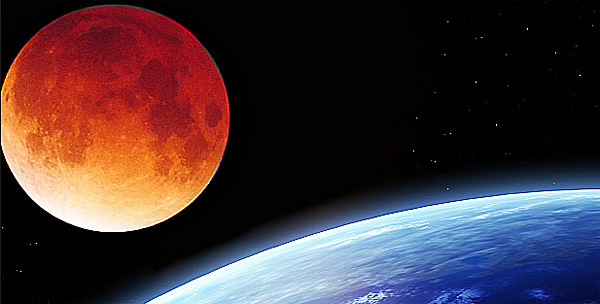 Rabbi Amram Vaknin, described as a “mystic rabbi living in southern Israel,” urged all Jews to pray and repent as the third Blood Moon of a tetrad cycle approaches, according to a report in Breaking Israel News. Vaknin is not easily dismissed because he reportedly predicted the events of the Gaza flotilla and the Carmel forest fire in 2010, the Operations Pillar of Defense of 2012 and Protective Edge of 2014. He warns that Israel is facing great judgment and potential danger at this time, according to the report. The Saturday event was during the Jewish festival of Passover and on the day leading up to Christians’ Resurrection Sunday. But Biltz, author of “Blood Moons: Decoding the Imminent Heavenly Signs,” points to more amazing correlations. Biltz believes this is no coincidence. But even those who are not looking skyward foresee great danger of the Jewish state as a result of Obama’s nuclear agreement with Iran. Iranian officials have boasted they will continue their nuclear program and some experts believe the Islamic Republican may already possess nuclear warheads. Pastor Carl Gallups, author of the end times bestseller “Final Warning: Understanding the Trumpet Days of Revelation,” says Obama has proved himself untrustworthy and Americans should be skeptical about any deal with Iran. “Obama’s odious, and well documented, history of dealing with Israel and Netanyahu is one of the glaring weaknesses of his administration according to many of his most serious critics. Also, Obama’s obvious proclivities to lean in the direction of all things ‘Islamic’ also has a large number of politicians, pundits, and even mainstream media on edge – especially as he ‘deals’ with radical Islamic regimes in the matters of nuclear weapons proliferation. Joel Richardson, author of the theological blockbuster “When a Jew Rules The World: What the Bible Really Says About Israel in the Plan of God,” says Barack Obama is not just endangering Israel’s strategic position, but possibly enabling genocide. “We have reached a tremendously dark and sad moment in the history of the United States. President Obama is acting in a way that compromises not only the general security of Israel, but her actual existence. But Richardson says it is not just Israel that is at risk but the United States. Barack Obama, he suggests, has done nothing less than open the nation to the risk of divine judgment. “More than any other name, the creator of Heaven and Earth, the God of the Bible calls Himself, the God of Israel. Through His prophets, He has repeatedly warned that a tremendous punishment awaits the vessels through which tribulation falls upon the Jewish people. (Isaiah 10:5-12). “It is the duty of Christians throughout the earth to warn our president that such actions will result in the most severe punishment when Jesus returns. As much as we all love the various images of Jesus the Messiah gently cradling a baby lamb over his shoulders, the Scriptures also speak of the fact that when Jesus returns, ‘He will crush kings on the day of his wrath. He will judge the nations, heaping up the dead and crushing the rulers of the whole earth’ (Psalm 110:5-6). “While the global atmosphere of increasing anti-Semitism and anti-Zionist sentiment may be make it quite fashionable and hip to treat little Israel as our president is doing, the fact remains that the day is looming where Barack Obama, along a host of leaders from Muslim nations and the UN will look into the very Jewish eyes of their creator and judge, and He will render to them the righteous punishment for how they have treated His brethren, the Jewish people,” he said. Biltz also clearly has wrath on his mind. When asked what specifically he expects, Biltz compared the situation to a dust cloud gathering in the distance. The moon will pass through the Earth’s shadow and turn blood-red in the early hours of the morning on Saturday, in a brief total eclipse best visible from the western part of the US. It will be the third in a series of four total lunar eclipses, or a “tetrad,” that began in mid-April last year. The second occurred in October 2014, and the last will be on September 28 this year. Tetrads are very rare: only seven more are expected by the year 2100. Saturday’s eclipse will also be the shortest in a century, with the moon spending just four minutes and 43 seconds completely in Earth’s shadow. However, the time it will take for the moon to become completely occluded will be abnormally long, a whole 102 minutes, writes Space.com. This is because the moon will have just reached apogee, its farthest point from the Earth. As the moon skims the edge of the planet’s shadow, it will turn a shade of red. The eclipse will be visible from all parts of the US, though those in the east will only see the beginning stages before the 06:16 ET sunrise. People in the west will have a full view of the total eclipse, at 04:58 PT. While the lunar eclipse is a fascinating astronomical phenomenon, some see deeper religious significance in it. Saturday will be the first night of Passover for the Jews, and Easter Vigil for Christians that follow the Gregorian calendar. Some Evangelical Christian preachers in the US have pointed at the Biblical prophecy that says: “The sun shall be turned into darkness, and the moon into blood, before the great and the terrible day of the LORD come.” (Joel, 2:31, KJV). A full solar eclipse occurred on March 20, in the middle of the current lunar tetrad. Millions across Europe, Africa and Asia watched the skies darken this morning during the solar eclipse. New York Times best-selling author Jonathan Cahn was one such watcher, but to him, the eclipse on March 20 was more than an astronomical phenomenon. "March 20 marks the exact center-point day of the year of the Shemitah," Cahn tells Charisma News. "It's worth to note that on this same day several events are converging—a solar eclipse, a super moon, the spring equinox, the opening day of the sacred biblical year. With just a portion of these convergences, scientists say occur only once in 100,000 years. On top of this, the solar eclipse will be the first appearance of the sun in months in the arctic regions, a convergence of once in 500,000 years." In addition to the solar eclipse, March 20 will also see the spring equinox and a super moon—an alignment even mainstream media outlets call "freaky." For the Jewish calendar, it's Nisan 1, the opening day of the sacred year. "The last time there was a total solar eclipse at the March Equinox was on March 20th in 1662," says Pastor Mark Biltz. "It was in the southern hemisphere. This is the first time ever in human history you have it at the North Pole! A once in 100,000 year event. Not only is it a total solar Eclipse but a Super Moon or Super Dark moon since it is a new moon. But what is also incredible is it happening on the First of Nisan. Which is the beginning of the religious calendar given to Moses. This is the day of the grand opening ceremony of Moses Tabernacle when the fire fell from heaven and lit the altar. But there's more! It just so happens the torah portion being read in every synagogue this weekend is Leviticus 1-5, which is the record of the events that actually happened on this day!" Cahn turns back to Genesis for answers. "In Genesis, it is written that God created the celestial lights for signs, for 'moedem' in Hebrew," Cahn says. " Moedeem also means the appointed times or holy days of God. So it's worthy of note that all these moedeem in the heavens are marking the exact centerpoint of the moedeem of the Shemitah on earth." Biltz sees it as the launch of a new era. "I see all this as a new era beginning since it is the first day of the religious year," he says. "Happening at the north pole is like midnight and a new era has begun. for the nation of Israel. Especially right after the elections and we have a total lunar eclipse coming on Passover on April 4th." Charisma News previously reported that such an alignment has been linked to Jewish devastation. Did you like this article? You'll enjoy Rabbi Cahn's books, The Harbinger and The Mystery of the Shemitah, as well as The Harbinger DVD. Purchase them here. The Christian Bible and Christian Bible Prophecy predict that in the end times the Antichrist, a beast, an dreaded evil man, more evil than any who ever walked the earth in history, will be thrust upon the world scene, and that billions of people on planet earth will die between natural cataclysms and those killed by the Antichrist--including gruesome beheadings for those who refuse to bow to his religious-government system. Millions of American evangelicals believe that the Antichrist will rise from Europe from a 'born again' Roman Empire, as depicted in the immensely popular Left Behind book series. But what most people don't know is that the Muslim Bible and Islamic Prophecy also predicts the coming of a person fitting nearly that identical description: The Madhi, the Muslim Messiah! How can this be? View the documentary, "Bible Prophecy and the Coming Muslim anti-Christ" by Walid Shoebat and decide for yourself. Your life may never be the same again. From me the creator of this website by the inspiration of God. 14In righteousness shalt thou be established: thou shalt be far from oppression; for thou shalt not fear: and from terror; for it shall not come near thee. 15Behold, they shall surely gather together, but not by me: whosoever shall gather together against thee shall fall for thy sake. 16Behold, I have created the smith that bloweth the coals in the fire, and that bringeth forth an instrument for his work; and I have created the waster to destroy. 17No weapon that is formed against thee shall prosper; and every tongue that shall rise against thee in judgment thou shalt condemn. This is the heritage of the servants of the LORD, and their righteousness is of me, saith the LORD. 11To set up on high those that be low; that those which mourn may be exalted to safety. 12He disappointeth the devices of the crafty, so that their hands cannot perform their enterprise. Iran’s President Hassan Rouhani on Tuesday unsurprisingly hailed the nuclear agreement struck with US-led world powers, and derided the “failed” efforts of the “warmongering Zionists.” His delight, Iran’s delight, is readily understandable. The agreement legitimizes Iran’s nuclear program, allows it to retain core nuclear facilities, permits it to continue research in areas that will dramatically speed its breakout to the bomb should it choose to flout the deal, but also enables it to wait out those restrictions and proceed to become a nuclear threshold state with full international legitimacy. Here’s how. 1. Was the Iranian regime required, as a condition for this deal, to disclose the previous military dimensions of its nuclear program — to come clean on its violations — in order both to ensure effective inspections of all relevant facilities and to shatter the Iranian-dispelled myth that it has never breached its non-proliferation obligations? No. (This failure, arguably the original sin of the Western negotiating approach, is expertly detailed here by Emily B. Landau.) Rather than exposing Iran’s violations, the new deal solemnly asserts that the nuclear Non-Proliferation Treaty which Iran has failed to honor “remains the cornerstone” of ongoing efforts to prevent the spread of nuclear weapons. The deal provides for a mechanism “to address past and present issues of concern relating to its nuclear programme,” but Iran has managed to dodge such efforts for years, and the deal inspires little hope of change in that area, blithely anticipating “closing the issue” in the next few months. 2. 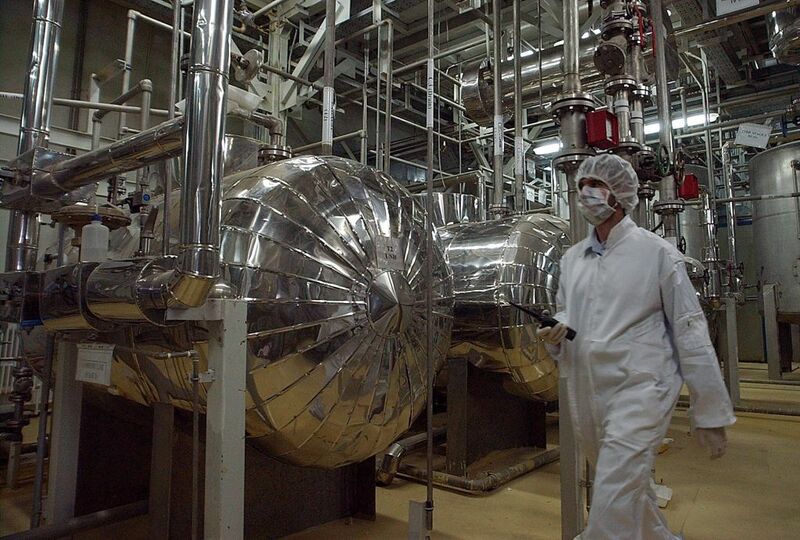 Has the Iranian regime been required to halt all uranium enrichment, including thousands of centrifuges spinning at its main Natanz enrichment facility? No. The deal specifically legitimizes enrichment under certain eroding limitations. 3. Has the Iranian regime been required to shut down and dismantle its Arak heavy water reactor and plutonium production plant? No. It will convert, not dismantle the facility, under a highly complex process. Even if it honors this clause, its commitment to “no additional heavy water reactors or accumulation of heavy water in Iran” will expire after 15 years. 5. Has the Iranian regime been required to halt its ongoing missile development? No. 7. Has the Iranian regime been required to submit to “anywhere, anytime” inspections of any and all facilities suspected of engaging in rogue nuclear-related activity? No. Instead, the deal describes at considerable length a very protracted process of advance warning and “consultation” to resolve concerns. 8. Has the international community established procedures setting out how it will respond to different classes of Iranian violations, to ensure that the international community can act with sufficient speed and efficiency to thwart a breakout to the bomb? No. 14. Does the nuclear deal shatter the painstakingly constructed sanctions regime that forced Iran to the negotiating table? Yes. 15. Will the deal usher in a new era of global commercial interaction with Iran, reviving the Iranian economy and releasing financial resources that Iran will use to bolster its military forces and terrorist networks? Yes. 16. Does the nuclear deal further cement Iran’s repressive and ideologically rapacious regime in power? Yes. No wonder Iran and its allies are celebrating. Nobody else should be. Today, Tuesday, Feb. 3rd, 2015 - If you read the book of Daniel, chapter 8. It is prophesied that there will be a time of peace and then in the middle of it the daily sacrifice will be taken away. When I read article like the one below, it is hard to imagine a time of peace coming to that part of the world. Senior Iranian official Alaeddin Boroujerdi says his country has the right to respond to airstrike in the Golan Heights. A senior Iranian official threatened Israel with retaliation over an airstrike in the Syrian Golan Heights in which an Iranian officer, General Mohammad Ali Allahdadi, was killed along with members of the Hezbollah terrorist group. Alaeddin Boroujerdi, the head of the Iranian parliament’s Foreign Policy and National Security Committee, told Hezbollah’s Al-Manar television that Iran “has the right to respond to the Israeli aerial aggression”. The interview aired following reports that Israel had sent Iran, through Russia, a message that it did not intend to further aggravate the situation, but Boroujerdi denied such a message was received by his country. The remarks were echoed by the Iranian Foreign Ministry on Monday. 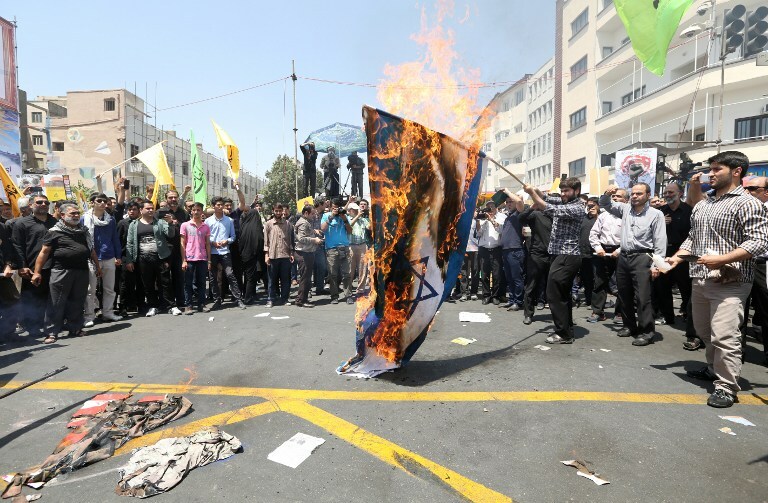 “The Islamic Republic has received no official or unofficial message from the illegitimate Zionist regime,” ministry spokeswoman Marzieh Afkham Afkham said, according to the Tehran Times. 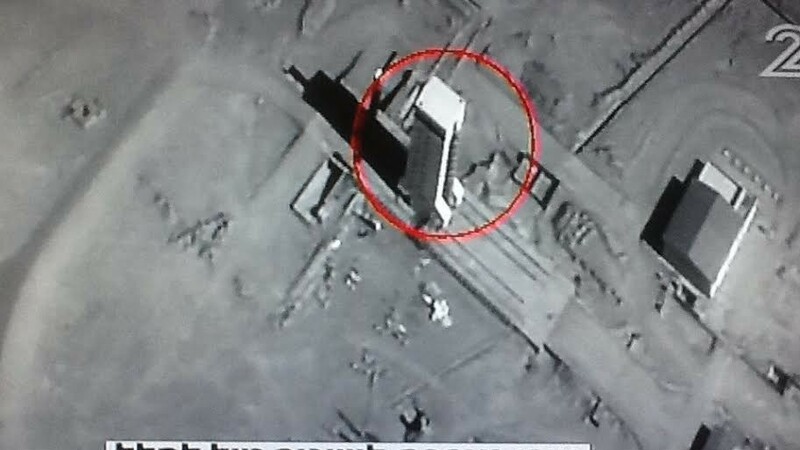 Iran has several times threatened Israel over the January 18 airstrike. , General Hossein Salami, deputy commander of the Revolutionary Guards, threatened a missile attack on Israel, indicating it would come from Judea and Samaria and not from Lebanon. Going further, Revolutionary Guards Minister Mohsen Rafighdoost said that the strike would pave the way for a war against Israel. As well, a Farsi-language Iranian news site affiliated with the Revolutionary Guards, has suggested that the sons of Israeli leaders are being targeted as a response to the Israeli airstrike. An envoy from Sunni Islam's highest seat of learning, Al-Azhar in Cairo, raised the prospect of restoring ties with the Vatican on Friday but called on Pope Francis to take “a step forward” by declaring that Islam is a peaceful religion. “The problems that we had were not with the Vatican but with the former pope. Now the doors of Al-Azhar are open,” Mahmoud Abdel Gawad, diplomatic envoy to the grand imam of Al-Azhar, Ahmed al-Tayyeb, told Italian daily Il Messaggero in Cairo. “Francis is a new pope. We are expecting a step forward from him. If in one of his addresses he were to declare that Islam is a peaceful religion, that Muslims are not looking for war or violence, that would be progress in itself,” he said. A ceremony in March in which Pope Francis washed the feet of young inmates in Rome, including a Muslim girl, was “a gesture that was very, very much appreciated” by Al-Azhar, Gawad said. He said that if Francis were to accept an invitation from Coptic Orthodox pope Tawadros II to visit Egypt, he could also visit Al-Azhar. “At that point, relations and dialogue would be restored immediately,” he was quoted as saying. In 2006, then pope Benedict XVI sparked fury across the Muslim world when he recounted an anecdote in which the Muslim Prophet Mohammed was described as a warmonger who spread evil teachings. Dialogue resumed in 2009, but was again severed after Benedict strongly called for protection of Christian minorities following a 2011 bombing at a church in Alexandria, Egypt's second city. well documented video. I have been following this kind of information for more than a decade. There is no hype here, it's all truth. I beg you to do the research. Our society has been duped by disastrous events that have been perpetrated against us by the world elite and Illuminati. Their methodology and purpose is to bring in the New World Order through "Order out of Chaos." This is why they create wars, their own labeled terror cel Al-Quida, deep rooted economic control, watch the video and read the book, Economic Hit Men. The world elite will use any means necessary to gain control of political entities, world resources, and world religiobns, and anything that goes against their agenda. To Whomever watches this video, please disregard the first 11 minutes or so about some persons theory of revelation events and just watch the last 45 minutes or so of Johnathan Chan's story. He is a Jewish Rabbi who followed an unusual event in the back drop of the circumstances around 9/11. Fifty members of an Indian community believed to be descendants of one of the lost tribes of Israel arrived on Monday in the Jewish state, completing their immigration. Linking up with family members who have already settled in Israel, they are among the first wave of the 7,200-strong Bnei Menashe community’s mass immigration to the Jewish state. The Indians say they are the descendants of the 10 tribes who lived in the kingdom of Israel in Biblical times and who were dispersed, according to the Bible, after the invasion of the Assyrians in 721 BC. Michael Freund of the Shavei Israel group (meaning “those who return to Israel” in Hebrew), which arranged their journey, said more than 7,000 people have sought help from the Israeli government to emigrate from India. “The members of this tribe have never forgotten where they came from and we are excited to be able to help them come back,” he told AFP, adding that hundreds of others were expected to arrive in coming weeks. More than 1,700 members of the Bnei Menashe community already live in Israel. MOSCOW — With a blinding flash and a booming shock wave, a meteor blazed across the western Siberian sky Friday and exploded with the force of 20 atomic bombs, injuring more than 1,000 people as it blasted out windows and spread panic in a city of 1 million. While NASA estimated the meteor was only about the size of a bus and weighed an estimated 7,000 tons, the fireball it produced was dramatic. Video shot by startled residents of the city of Chelyabinsk showed its streaming contrails as it arced toward the horizon just after sunrise, looking like something from a world-ending science-fiction movie. The largest recorded meteor strike in more than a century occurred hours before a 150-foot asteroid passed within about 17,000 miles (28,000 kilometers) of Earth. The European Space Agency said its experts had determined there was no connection between the asteroid and the Russian meteor — just cosmic coincidence. The meteor above western Siberia entered the Earth’s atmosphere about 9:20 a.m. local time (10:20 p.m. EST Thursday) at a hypersonic speed of at least 33,000 mph (54,000 kph) and shattered into pieces about 30-50 kilometers (18 to 32 miles) high, the Russian Academy of Sciences said. NASA estimated its speed at about 40,000 mph, said it exploded about 12 to 15 miles high, released 300 to 500 kilotons of energy and left a trail 300 miles long. “There was panic. People had no idea what was happening,” said Sergey Hametov of Chelyabinsk, about 1,500 kilometers (930 miles) east of Moscow in the Ural Mountains. “We saw a big burst of light, then went outside to see what it was and we heard a really loud, thundering sound,” he told The Associated Press by telephone. The shock wave blew in an estimated 100,000 square meters (more than 1 million square feet) of glass, according to city officials, who said 3,000 buildings in Chelyabinsk were damaged. At a zinc factory, part of the roof collapsed. The Interior Ministry said about 1,100 people sought medical care after the shock wave and 48 were hospitalized. Most of the injuries were caused by flying glass, officials said. The shock wave may have shattered windows, but “the atmosphere absorbed the vast majority of that energy,” she said. Emergency Situations Ministry spokesman Vladimir Purgin said many of the injured were cut as they flocked to windows to see what caused the intense flash of light, which momentarily was brighter than the sun. There was no immediate word on any deaths or anyone struck by space fragments. President Vladimir Putin summoned the nation’s emergencies minister and ordered immediate repairs. “We need to think how to help the people and do it immediately,” he said. Some meteorite fragments fell in a reservoir outside the town of Chebarkul, the regional Interior Ministry office said. The crash left an eight-meter (26-foot) crater in the ice.Lessons had just started at Chelyabinsk schools when the meteor exploded, and officials said 258 children were among those injured. Amateur video showed a teacher speaking to her class as a powerful shock wave hit the room. Yekaterina Melikhova, a high school student whose nose was bloody and whose upper lip was covered with a bandage, said she was in her geography class when a bright light flashed outside. An asteroid the size of an office building will narrowly miss Earth, but it’s just one of millions out there. The Post’s Brian Vastag stops by to tell us about the “giant cosmic shooting gallery” in which our planet sits and what scientists are doing to protect us. “After the flash, nothing happened for about three minutes. Then we rushed outdoors. ... The door was made of glass, a shock wave made it hit us,” she said. Russian television ran video of athletes at a city sports arena who were showered by shards of glass from huge windows. Some of them were still bleeding. Other videos showed a long shard of glass slamming into the floor close to a factory worker and massive doors blown away by the shock wave. Meteors typically cause sizeable sonic booms when they enter the atmosphere because they are traveling so much faster than the speed of sound. Injuries on the scale reported Friday, however, are extraordinarily rare. Another resident, Valya Kazakov, said some elderly women in his neighborhood started crying out that the world was ending. The many broken windows exposed residents to the bitter cold as temperatures in the city were expected to plummet to minus 20 Celsius (minus 4 Fahrenheit) overnight. The regional governor put out a call for any workers who knew how to repair windows. Russian-language hashtags for the meteorite quickly shot up into Twitter’s top trends. “Jeez, I just woke up because my bed started shaking! The whole house is moving!” tweeted Alisa Malkova. Social media was flooded with video from the many dashboard cameras that Russians mount in their cars, in case of pressure from corrupt traffic police or a dispute after an accident. The dramatic event prompted an array of reactions from prominent Russians. Vladimir Zhirinovsky, a nationalist leader noted for his vehement statements, blamed the Americans. “It’s not meteors falling. It’s the test of a new weapon by the Americans,” the RIA Novosti news agency quoted him as saying. “At the moment, neither we nor the Americans have such technologies” to shoot down meteors or asteroids, he said, according to the Interfax news agency. Meteoroids are small pieces of space debris — usually parts of comets or asteroids — that are on a collision course with the Earth. They become meteors when they enter the Earth’s atmosphere. Most meteors burn up in the atmosphere, but if they survive the frictional heating and strike the surface of the Earth they are called meteorites. NASA said the Russian fireball was the largest reported since 1908, when a meteor hit Tunguska, Siberia, and flattened an estimated 80 million trees. Chelyabinsk is about 5,000 kilometers (3,000 miles) west of Tunguska. The Tunguska blast, attributed to a comet or asteroid fragment, is generally estimated to have been about 10 megatons. Scientists believe that a far larger meteorite strike on what today is Mexico’s Yucatan Peninsula may have been responsible for the extinction of the dinosaurs about 66 million years ago. According to that theory, the impact would have thrown up vast amounts of dust that blanketed the sky for decades and altered the climate on Earth. The object hailed from the asteroid belt between Mars and Jupiter, becoming a meteor as it streaked through the earth’s atmosphere, Bill Cooke, head of the Meteoroid Environments Office at NASA’s Marshall Space Flight Center in Huntsville, Alabama, said. Paul Chodas, research scientist at the Near Earth Object Program Office at the Jet Propulsion Laboratory, said that ground telescopes would have needed to point in the right direction at the right time to spot Friday’s incoming meteor. “It would be very faint and difficult to detect, not impossible, but difficult,” Chodas said. The 150-foot space rock that safely hurtled past Earth at 2:25 p.m. EST Friday was dubbed Asteroid 2012 DA14 and was discovered a year ago. It came closer than many communication and weather satellites that orbit 22,300 miles up. The asteroid was invisible to astronomers in the United States at the time of its closest approach on the opposite of the world. But in Australia, astronomers used binoculars and telescopes to watch the point of light speed across the clear night sky. Jim Green, NASA’s director of planetary science, called the back-to-back celestial events an amazing display. Experts said the Russian meteor could have produced much more serious problems in the area hosting nuclear and chemical weapons disposal facilities. Vladimir Chuprov of Greenpeace Russia noted that the meteor struck only 100 kilometers (60 miles) from the Mayak nuclear storage and disposal facility, which holds dozens of tons of weapons-grade plutonium. The panic and confusion that followed the meteor quickly gave way to typical Russian black humor and entrepreneurial instincts. Several people smashed in the windows of their houses in the hopes of receiving compensation, the RIA Novosti news agency reported. Others quickly took to the Internet and put what they said were meteorite fragments up for sale. One of the most popular jokes was that the meteorite was supposed to fall on Dec. 21, 2012 — when many believed the Mayan calendar predicted the end of the world — but was delivered late by Russia’s notoriously inefficient postal service. AP writers Max Seddon and Science Writer Alicia Chang contributed to this story. January 18th, 2015 - 13th rev.